Utilities represent classic geography - how to get things from here to there. While utilities are a diverse group, the basic mission to move resources from source to destination efficiently, safely, and cost effectively stays the same. Whether it's natural gas, electricity, water, steam, telecommunication, fiber optics, or broadband internet each resource has its own unique characteristics that need to be considered. 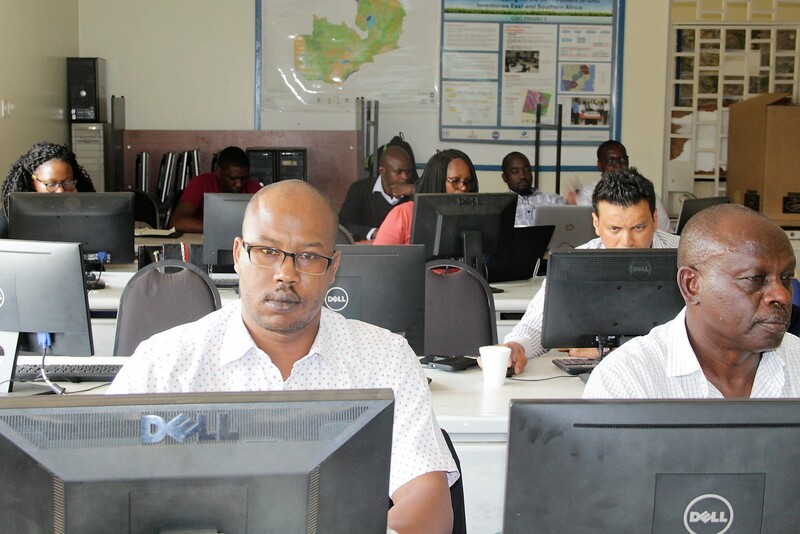 For this reason, Regional Centre for Mapping of Resources for Development (RCMRD) held a two week course for professionals in the energy sector. 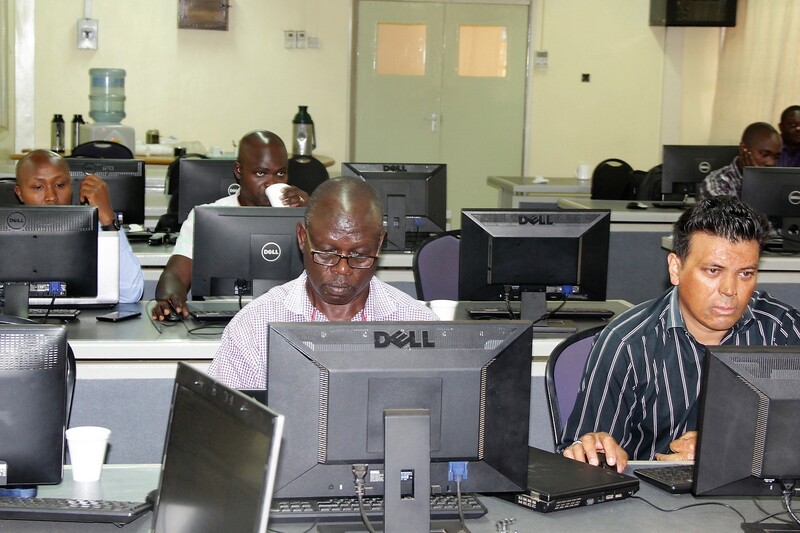 The course which commenced on March 12 ended on March 22 and had 20 participants. They were drawn from across the energy corporations in Kenya including Kenya Power and Lightning Company (KPLC), Energy Regulatory Commission (ERC), Geothermal Development Company, Kenya Electricity Generating Company (KenGen) and the Ministry of Energy. During the first week, the training conducted by Mr. Leonard Sweta, RCMRD's Geo-Information Training Coordinator & Principal Trainer instilled knowledge on the basics of Geographical Information System(GIS), such as database development of consumer base, map production, and dissemination, working with google earth in planning of wayleaves and rural population density verification for connectivity, mapping representation of electric corridors, population densities, and rural road networks and wayleaves. In the second week, participants were equipped with knowledge on applied GIS connectivity and power supplies, which involved analyzing radius served by grid lines, monitoring and evaluation of existing and newly installed grids and transformers, determining the population served by transformers installed and risks to connections or connectivity grids. GIS allows for creating, and querying of electrical database to generate information, with an added advantage of analyzing spatial data. Through this training, the participants applied hands on experience to reinforce the training. The utility sector, which is rapidly growing and the nerve center of basic infrastructure is one of the areas that GIS software is used. GIS has become a crucial planning, management, and implementation tool for industries such and Transportation, and energy. The quality geospatial mapping and GIS can play a critical role in planning, installation, maintenance and workflow monitoring of these diverse utility sources creating a foundation of awareness supporting effective decision-making, preventative maintenance and cost-effective management practices. 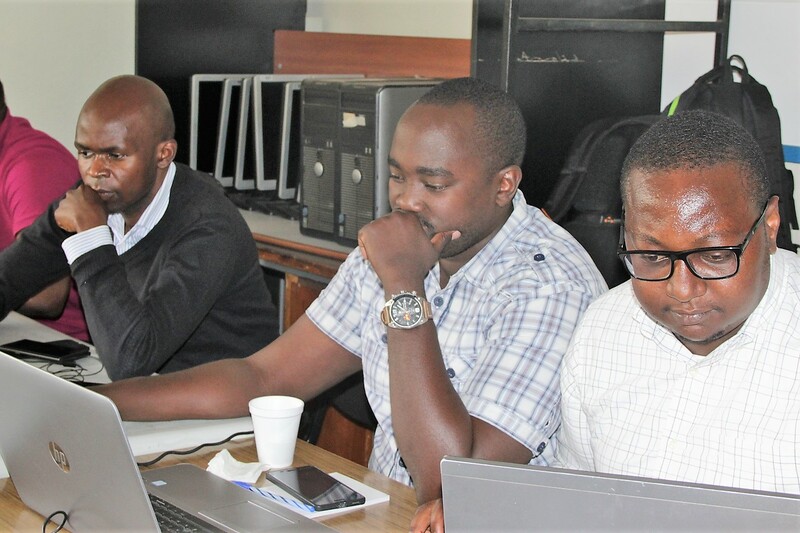 Staff from Kenya's Ministry of Energy were trained in the application of GIS Utilities mapping at RCMRD and like most planning efforts, building and installing utility infrastructure is not simply a technical process but requires continous training.